Widely recognized as one of the West Coast's most important and critically acclaimed practitioners of conceptual and installation art, David Ireland (born 1930) has taken the concept of art itself as one of his subjects. A self-described "post-discipline" artist, guided by Zen thought and postmodern aesthetics, Ireland moves fluidly from making small drawings to creating sculptures as large as houses. Freely incorporating anything within his conceptual or physical reach—dirt, concrete, wire, and other everyday materials—his work is subtle, puzzling, and witty, and consistently challenges traditional definitions of art. In this book accompanying the first full-scale retrospective of Ireland's work, curator and author Karen Tsujimoto provides an insightful overview of more than thirty years of the artist's accomplishments, from his drawings, sculptures, and site-specific installations to his remarkable series of architectural transformations, including his well-known house at 500 Capp Street in San Francisco. Chronicling Ireland's circuitous route to his calling, Tsujimoto explores how key life experiences have influenced his artistic perspective—from his early art-student days, through his years as an African importer and safari guide, to his long-standing interest in Eastern, and particularly Zen, philosophy and his deep connections with the San Francisco Bay Area conceptual art community. 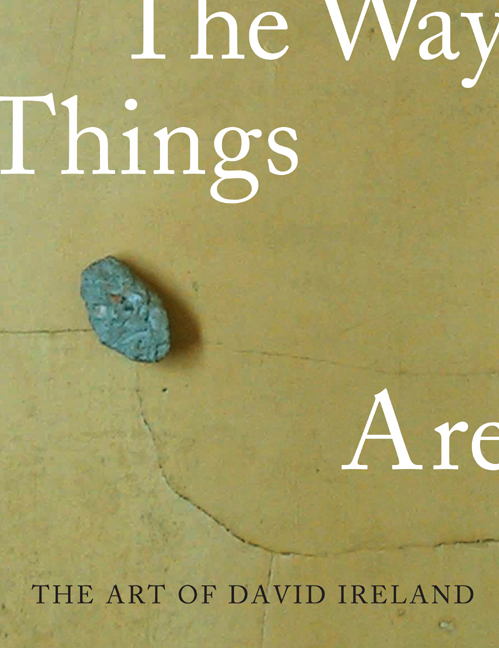 An illuminating essay by art historian and curator Jennifer R. Gross also considers Ireland's art in terms of historical materialism—assessing his use of neglected materials and artifacts as a process of cultural preservation. Karen Tsujimoto is Senior Curator of Art at the Oakland Museum of California, the coauthor of The Art of Joan Brown (California, 1998) and The Art of Peter Voulkos (1995), and the author of Wayne Thiebaud (1985). Jennifer R. Gross, Seymour H. Knox, Jr. Curator of Modern and Contemporary Art at Yale University Art Gallery, has written about and organized numerous exhibitions on modern and contemporary art, including the work of Abelardo Morell, Jessica Stockholder, and Richard Tuttle.